Photography by Walt restored this old black and white photograph of a client’s father. 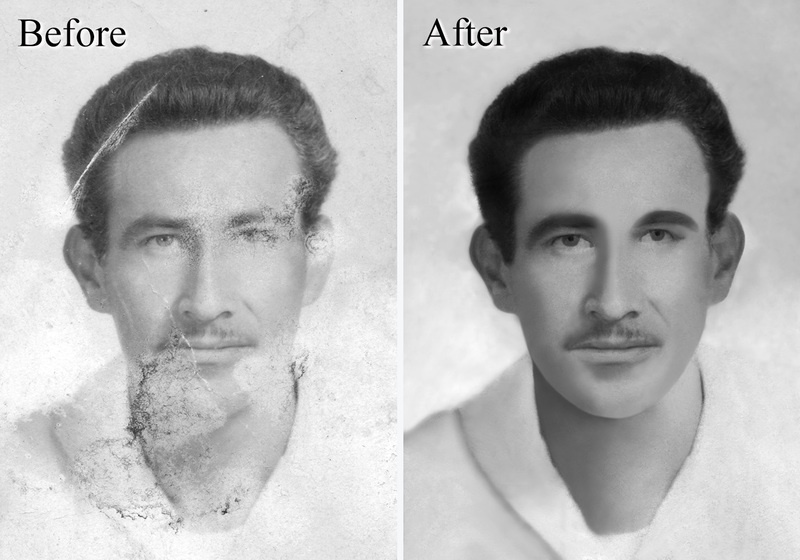 We can restore an old scratched image, which is even missing a part of his face. Bring new life to your old, faded images.